I'm a husband. I'm a dad. I'm busy. I'm also the guy who quit the original P90X (because of the long workouts, promise). But, I have hope that I can still get fit and live healthy. P90X3 is my newest hope. Follow me as I write about my next 90 days. I'll write on Day 30, Day 60 and hopefully, at day 90, we'll both be more healthy. Gabby (my 4yo daugher) was excited and said: "Daddy, what's in that box? Is that a box of donuts?! Yay!" Me: "No, honey. This isn't a box of donuts!" This short conversation hasn't left my mind over the last few days. You see, I've spent all of her life, all of her older sister's life (who's 7yo) and most of my own life, not exercising AND eating poorly. I have nothing against donuts. When I'm not following the hashtag #P90X3Dads I'm searching #donuts and #carbs. Sadly, I'm only half-joking. When I look back over the last few years, I must confess an unhealthy inclination toward diet and exercise has been the norm instead of the exception. This "unhealthy inclination toward diet and exercise" led me to obesity. After visiting my doctor for a routine exam last summer, I weighed 230 pounds. I was obese. Whoa, how did this happen? This couldn't be me. I couldn't blame college (the "freshman 15" or the "sophomore 20" or whatevs). I couldn't blame seminary (where most seem to be obese; sorry, it's just true. We can talk more later.). I couldn't blame marriage (you know it happens, spouses). I couldn't blame daughter number 1 (no matter how sweet "sympathy weight" sounds). I couldn't blame daughter numero dos, even though sympathy weight could also be the excuse. Well, I guess I could blame all of the above. But, the act of blaming is simply me not taking responsibility for my actions. Blaming others doesn't get me fit and healthy. Heck, my wife was critcally sick with both pregnancies. "Sympathy weight" is easy to gain when your wife is on bed-rest and/or hospital-rest for most of the pregnancy. Don't tell me a man can't get pregnant. Sadly, I never delivered my baby. After getting my blood work back, my doctor kindly let me know, to be 32 years old and at risk for high blood pressure, I was cutting years off of my life with my unhealthy diet and lack of exercise. That was last summer. Since then, I went from weighing 230 pounds to 189. I have basically plateaued with my current situation and am not at my peak weight, I'm hopeful P90X3 is my solution. I need to drop a few more pounds and add muscle. I need a program that doesn't require gym membership and a bunch of "stuff". I want a quick program I can do in my home with variety between workouts. I'm not trying to get bored. Is this too much to ask? I write today as someone who has learned to somewhat manage my diet. It's a constant, hourly (nay, minute-by-minute) struggle. But, the missing link to my being overweight now is mostly related to my exercise level. Enter P90X3! I mentioned I quit the original P90X. While I'm certain that program works for some, my experience based on my limited physical ability, was that going from no activity to one-hour-and-30-minute yoga sessions was daunting. I didn't last two weeks on the original P90X. Maybe once I'm in better shape, I'll get more use out of P90X! I plan to write four blog posts: Day 0 (this post), Day 30, Day 60 and Day 90. If all goes as planned, I'll show "before and after" photos at day 90. I'll spare you the "before" pictures today. You're welcome! Now, I'm headed to "press play" as Mr. Tony Horton tells me. Note: No dad was paid for this post. We were, however, given a base kit and two kits to giveaway because the Beach Body folks are so awesome. 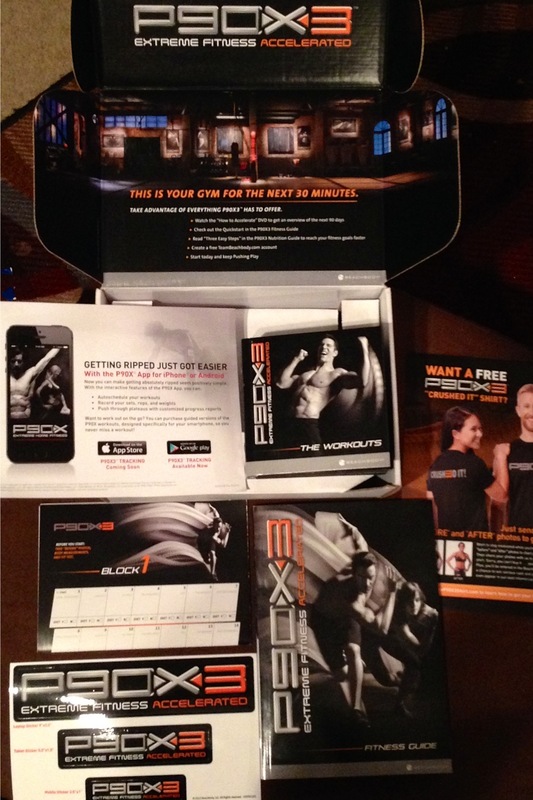 Tell us in the comments: Why do you want a free copy of P90X3? How would getting fit and healthy make you a better dad?